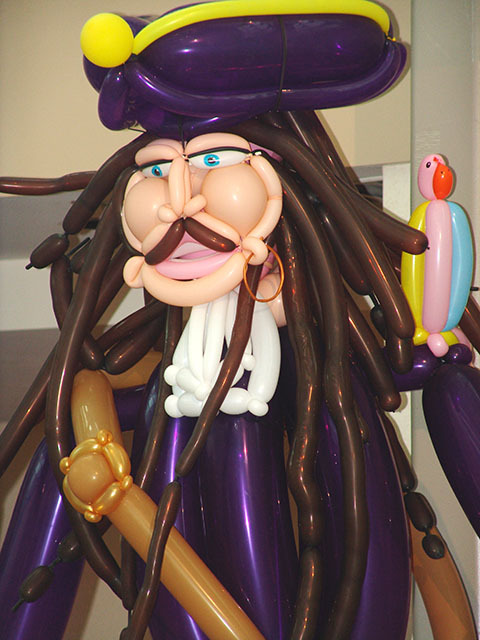 Balloon Pirates.. Aaayyee. Here is one of our all time favorites. 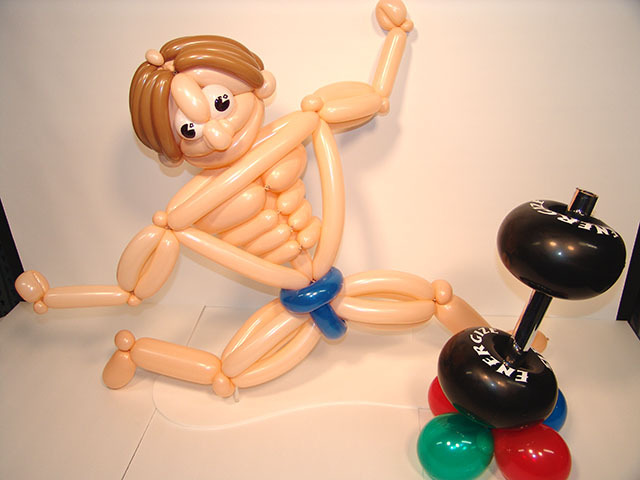 These complex twisted balloon sculptures usually take a full day to create. 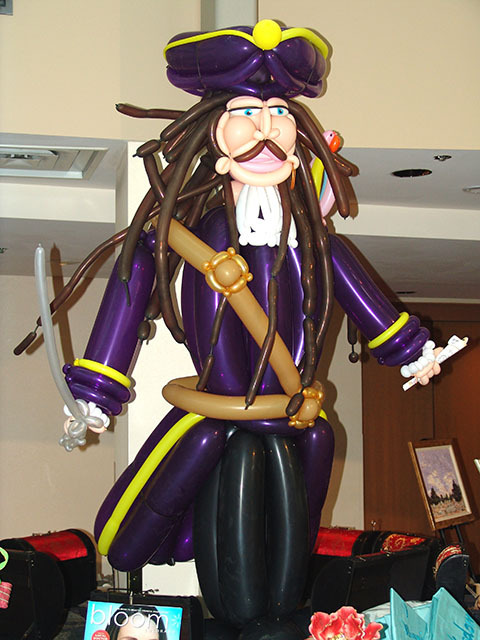 Contact us to see if we can add some Jolly Rodgers to your party and “Hold Fast” for some surly fun. 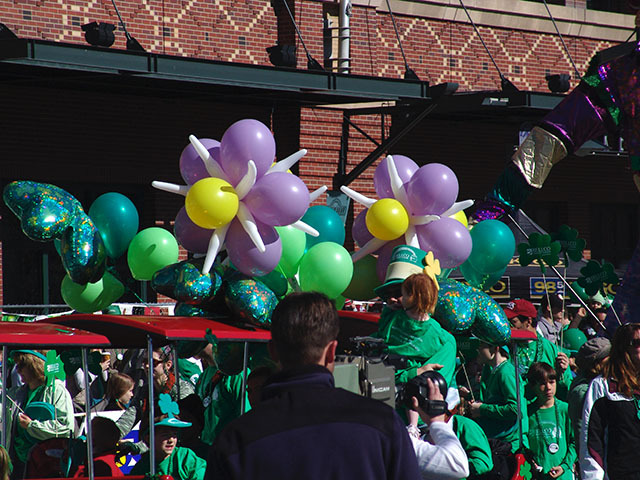 You can’t go wrong with balloons in a parade. 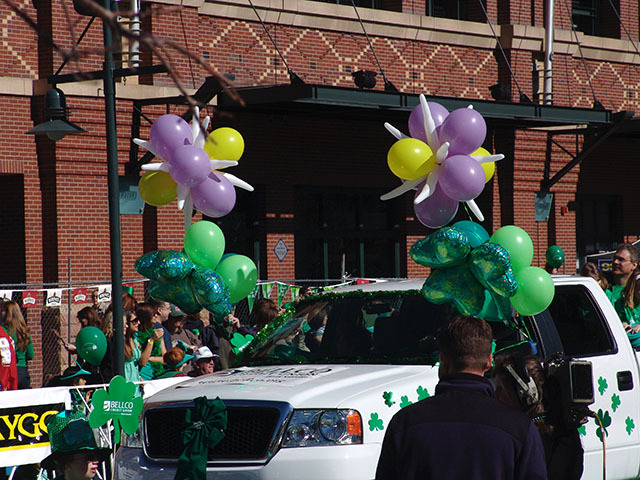 Here for the St. Patricks day parade we added columbine flowers that really punched up the color on the vehicles as they drove by. Contact us to see how we can liven up your special event. T-mobile had a huge party at the ESPN Zone in Downtown Denver. 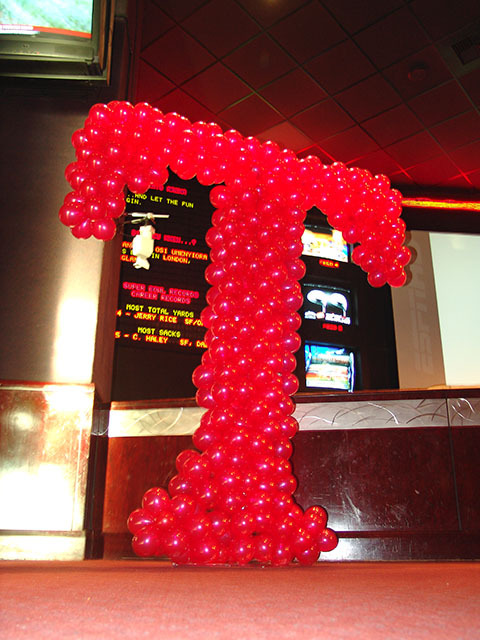 What better way to start their party than with a huge balloon logo that nobody could miss? 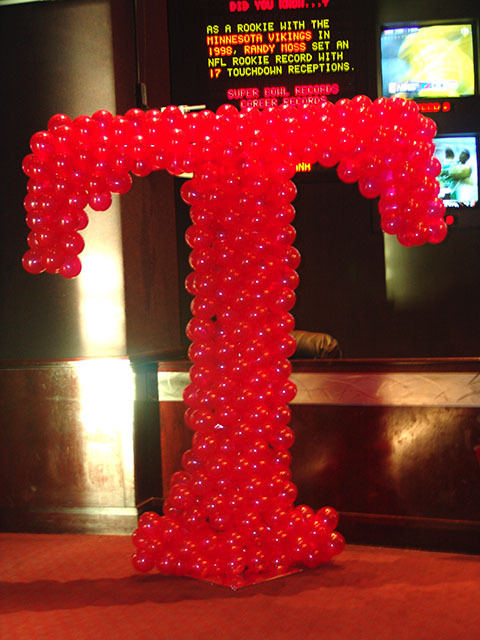 Most simple logo’s can be made into balloon sculptures. 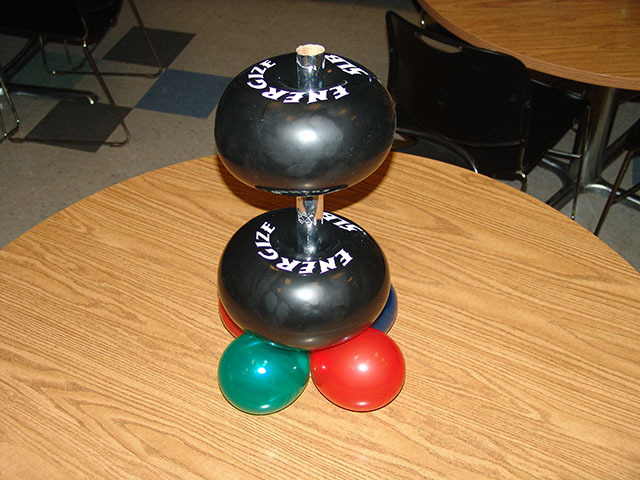 Contact us to see if we can inflate your logo! 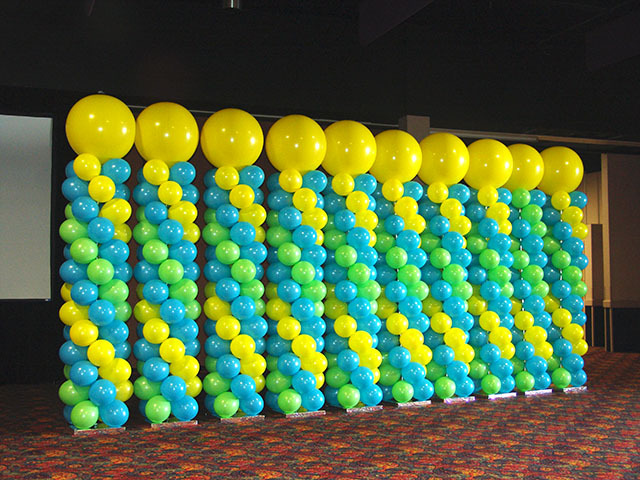 Balloon Columns add bright colors any where! 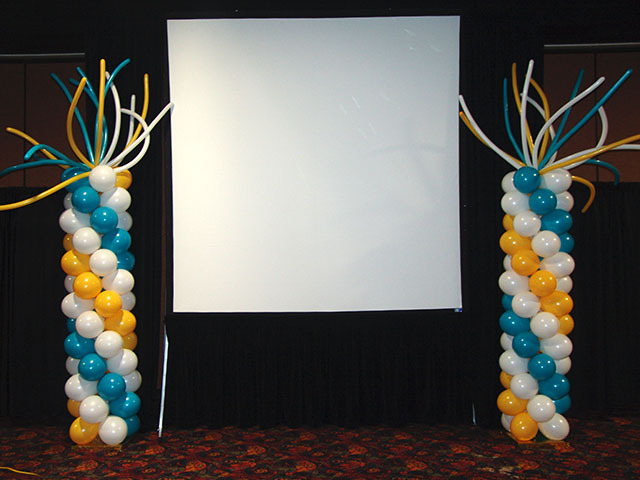 Balloon columns add bright color to any drab room. They are light weight and easy to move. Matching the company colors, or event colors ties the special occasion together.